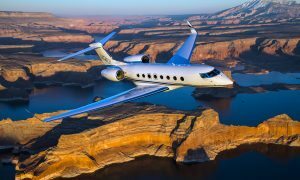 Gulfstream Aerospace recently delivered the first fully outfitted G650ER business jet to a customer, ahead of the 2015 projected delivery date. 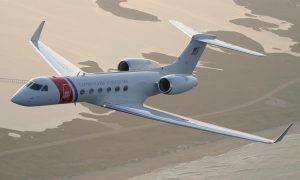 Gulfstream announced the G650ER in May of this year. The aircraft received type certification from the U.S. Federal Aviation Administration five months later. 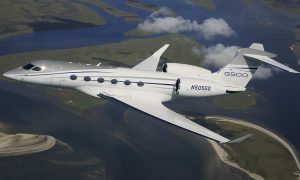 The G650ER travels near the speed of sound with a max speed of Mach 0.925. At Mach 0.85, it can carry passengers 7,500 nautical miles/13,890 kilometers, and at Mach 0.90, 6,400 nm/11,853 km. It connects more international cities and offers more nonstop destinations, from Hong Kong to New York, and Los Angeles to Melbourne, Australia. Like its sister ship, the G650, the G650ER offers the most state-of-the-art cabin amenities, performance-enhancing safety features and advanced avionics.